1. 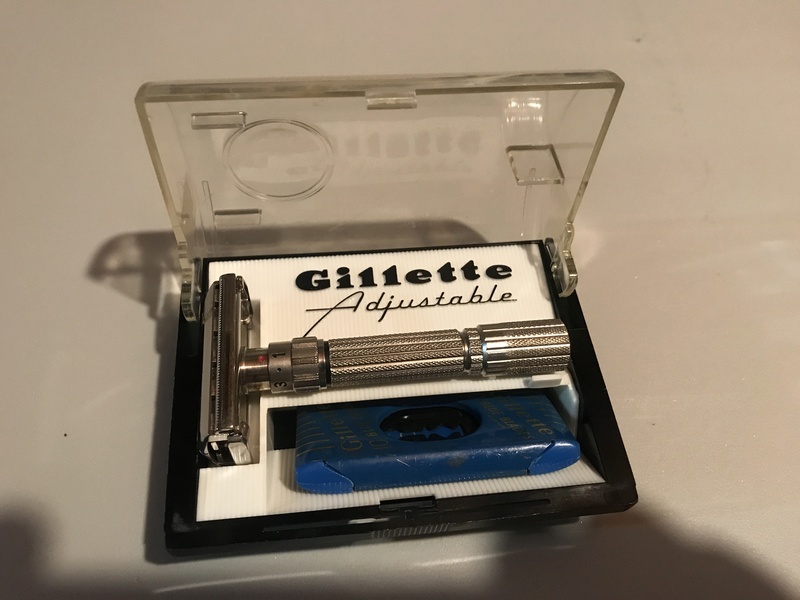 Vintage Gillette 1958 D-1 Red Dot Fatboy razor with CORRECT case and razor pack. 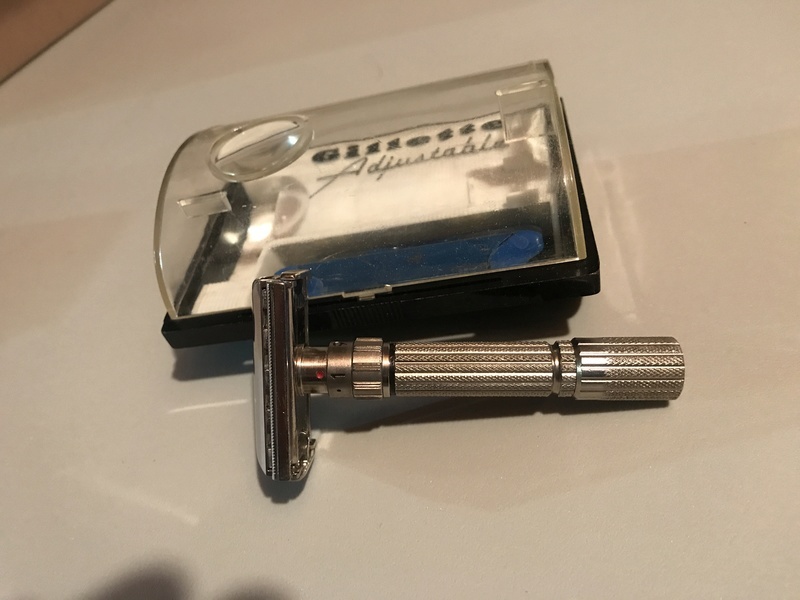 Razor works smoothly and is in very good used condition with original plating. Asking $1400.00 US with insured shipping to US only included. 2. 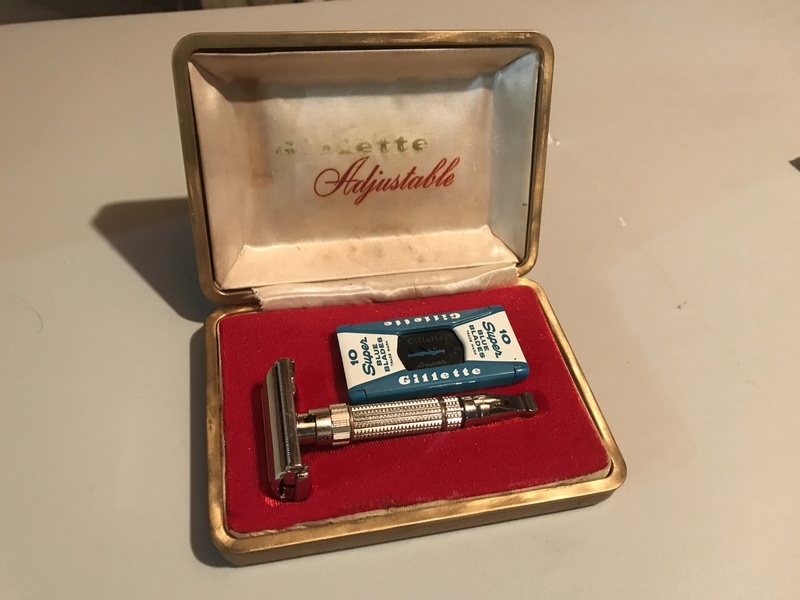 Vintage Gillette 1960 F-4 "Chrome" Toggle razor with CORRECT case and razor pack. 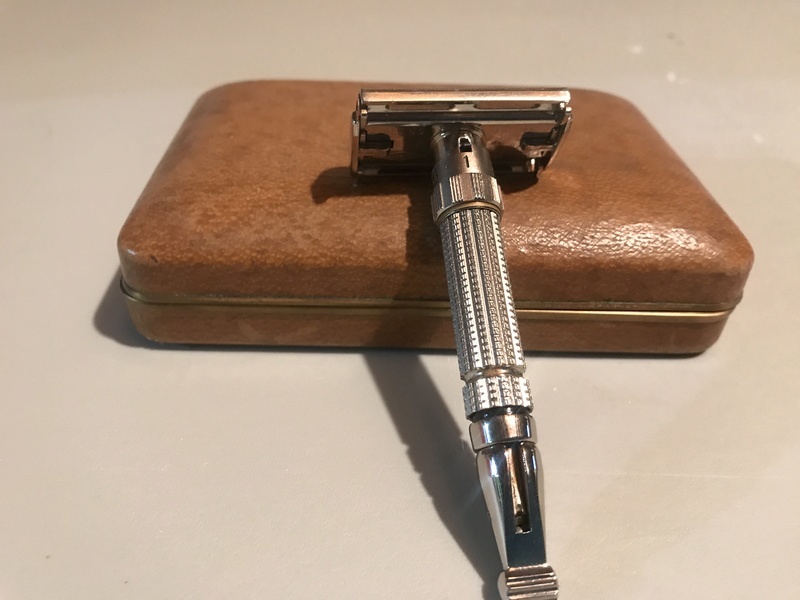 Razor works very smoothly and is in very good used condition with original nickel plating. Felt lining in case has been restored. Asking $850.00 US with insured shipping to US only included. Anybody interested? Red dot's aren't that rare but coming with the correct case in very good condition is rare. $1400 for a red dot? Wow! I thought the bottom dial red dot was the rare one, maybe I was wrong. (11-14-2017, 06:09 PM)Boonie21 Wrote: $1400 for a red dot? Wow! I thought the bottom dial red dot was the rare one, maybe I was wrong. It is the case that makes this combination so rare - very few are available with cases.